Medicare Supplement Plan F is the most comprehensive plan out of the eleven available Medigap policies. 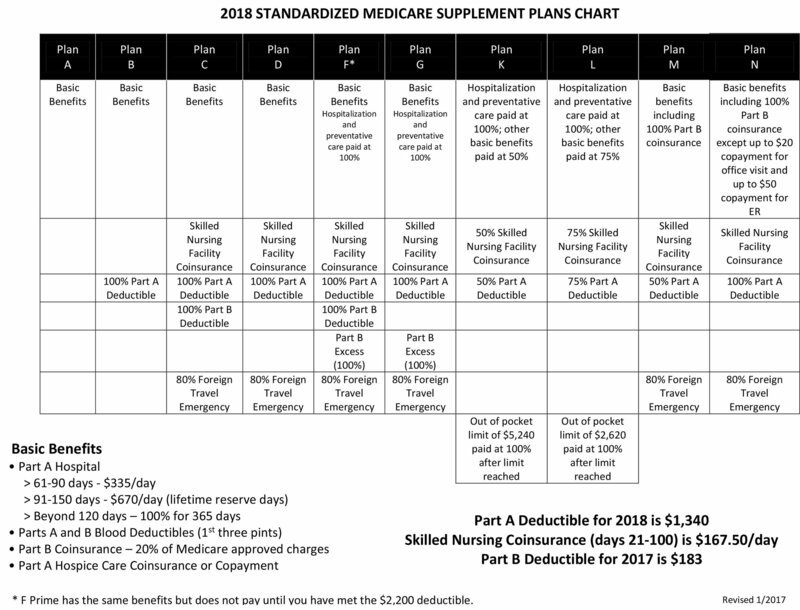 Because Plan F leaves the beneficiary with no out-of-pocket expenses, by covering any remaining hospital and doctor costs after Original Medicare (Part A and/or Part B) has covered its portion, it is the most expensive supplement plan. Since Plan F is so popular, most Medigap carriers sell it. The coverage for Plan F does not change from company to company, but the cost may vary. Plan G is a lot like Plan F, in that they both offer comprehensive coverage and are among the most robust Medigap offerings, but Plan G requires the beneficiary to pay the Part B deductible out-of-pocket. In 2019, the standard Part B deductible amount is $185, and once you’ve met the deductible you have 100% coverage. Plan G is not the most popular plan and not all companies offer it. Some companies determined that the profit margin is no thigh enough to offer the plan. What that means is that they don’t make enough money off of you so they don’t want to offer it. They are looking out for themselves and not the client. Both plans are almost identical. The only difference is the Part B deductible for Plan G is not covered. So the maximum you would have to pay is $185 and that’s it!! Here is what most folks don’t realize, you are still paying the $185 deductible, but it’s through your premiums, and then some. Plan F is typically 20-30% higher than Plan G, which means that everything above and beyond the $185 deductible is pure profit for the insurance company and the agent. So most agents recommend Plan F.
Not us! We will recommend the plan that is the best for your situation. Which typically is the Plan G. Not only is it a savings from the beginning, but because the losses on a Plan G are lower than on a Plan F, the rate increases are a lot lower.